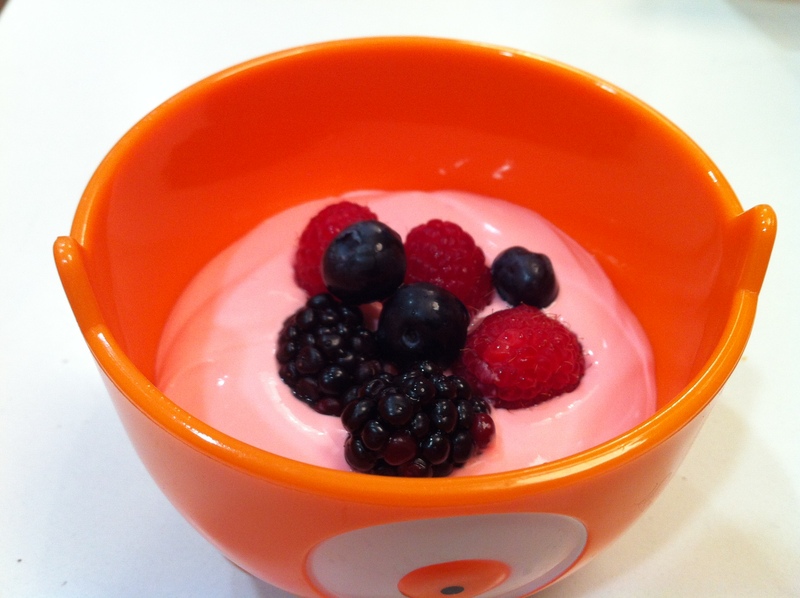 raspberry yogurt | what is clara eating today? This is another one of Clara’s favorites. You can easily adjust the ratio by putting in more cream since it will only make the yogurt thinner. Put all the ingredients in a blender and blend until well combined.